t’s hard to get an Energy Calculator or a Electricity Bill Calculator which is easy to use or to work out your electricity bill so you can save money or to work out what size Solar Panel System you need to save you more money. So what we are going to do is give you a basic way to calculate your energy useage and read your electricity bill and likewise if you are planning to get Solar panels you won’t be left in the dark. For example: you may consume 20Kw per day. Now check to see how much you pay per Kw to your electricity company. There normally is a peak and an off peak. Now you multiply the 20Kw you use by the 30 cents = Approximately $6:00 per day useage. 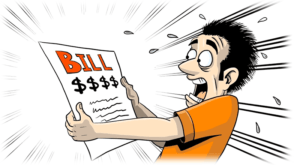 A 5kw solar system would be suitable for this size bill.